With all of the Top-3 seeds heading into this year's Big Ten Tournament sporting at least six losses, it's safe to say the battle for the 2018-19 Big Ten title should be one of the tightest races in the country. 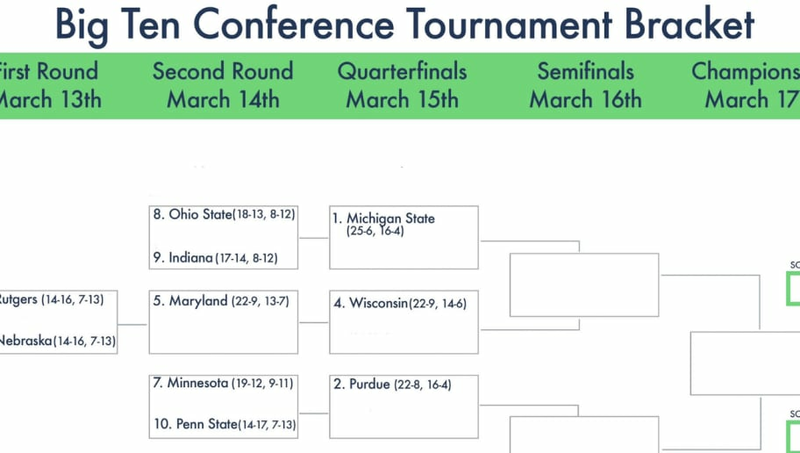 This Wednesday marks the start of the 2019 Big Ten Tournament, which runs from March 13-17. The printable bracket can be found here as a PDF as well as in the tweet below. The No. 3 seed Michigan Wolverines are the two-time defending Big Ten Tournament champions. Michigan State and Michigan have combined to win four of the last five tournament championships. Either the Spartans or Wolverines have also appeared the final round of each of the last five tournaments. For the printable ACC Tournament bracket, click here. For the printable SEC Tournament bracket, click here.